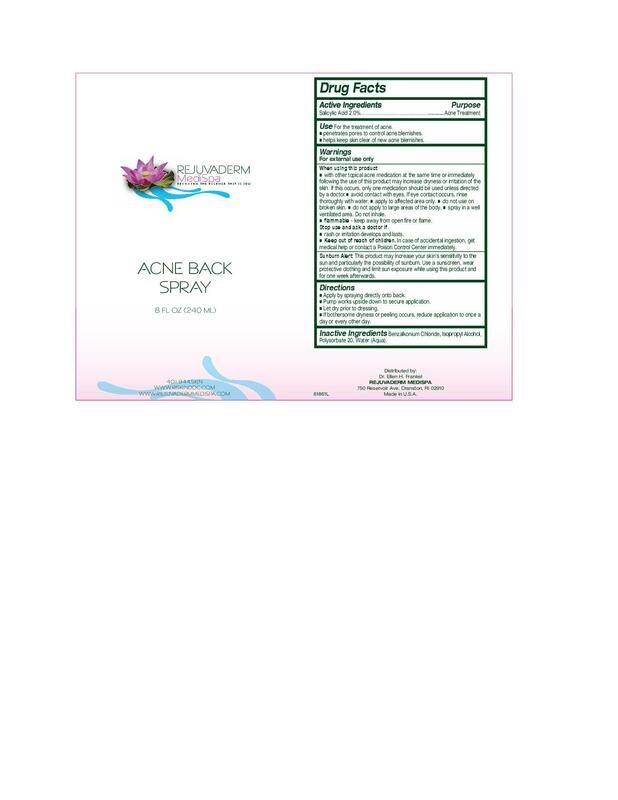 with other topical acne medication at the same time or immediately following the use of this product may increase dryness or irritation of the skin. If this occurs, only one medication should be used unless directed by a doctor. avoid contact with eyes. If eye contact occurs, rinse thoroughly with water. apply to affected area only. do not use on broken skin. do not aply to large areas of the body. Spray in a well ventilated area. Do not inhale. flammable-keep away from open fire or flame. Sunburn Alert: this product may increase your skin's sensitivity to the sun and particularly the possibility of sunburn. Use a sunscreen, wear protective clothing and limit sun exposure while using this product and for one week afterwards. Apply byspraying directly onto back. Pump works upside down to secure application. Let dry prior to dressing. Inactive Ingredients Benzalkonium Chloride, Isopropyl Alcohol, Polysorbate 20, Water (Aqua).